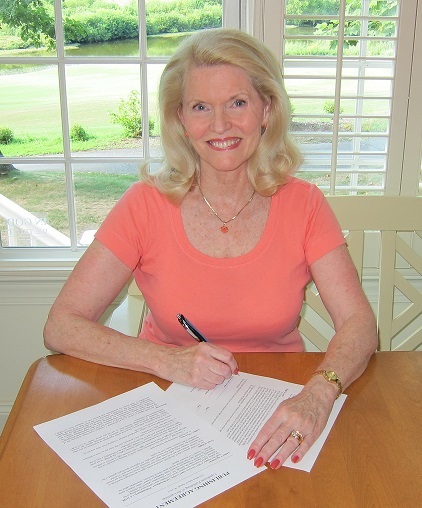 I’m thrilled that Lighthouse Publishing of the Carolinas has offered me a contract for the sequel to A Heart Set Free. It’s a stand alone story that follows the characters introduced in A Heart Set Free. The Stewart’s dream of building an ordinary will be realized. However, storm clouds of conflict will escalate between Britain and the colonies. Like so many other families, the Stewarts will struggle with the prospect of a war that will divide friends and families. The story continues in the second book of the trilogy. I thought the movie Dunkirk was well done. Each facet of the battle seemed to be well represented by the characters; the soldiers, airmen, sailors, and British civilians. The actors, most not particularly well known, did a great job. For a recent war or action movie, I appreciated that there was far less gore than usual. The background of the British call to prayer which likely led to the civilian involvement. Too many viewers aren’t familiar with the historical facts and they weren’t emphasized in the movie. The British were aware of the probable disaster that was forming at Dunkirk. In a moving broadcast to the British people, King George VI asked his people to commit their cause to God and that a National Day of Prayer be called on Sunday, May 26, 1940. The members of the Cabinet joined the King at Westminster Abbey, while millions joined in prayer throughout the Empire. Photographs outside Westminster Abbey on the National Day of Prayer showed throngs of people who could not get into the Abbey. Against the advice of his generals, Hitler stopped the advance of his armored columns ten miles away, at a point when they could have destroyed the British Army. Possibly Hitler thought the Germans had enough air superiority to prevent a large-scale evacuation by sea that would be required. German Luftwaffe squadrons were grounded due to a fierce storm over Flanders on May 28th, 1940. 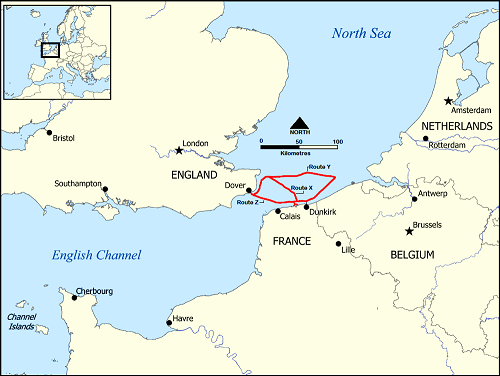 Darkness and the cover of the storm allowed the British Army to move toward the coast without being detected by German aircraft. When several hundred men were systematically being machine-gunned and bombed by many enemy aircraft, many of the soldiers were amazed that more men weren’t killed. While the violent storm provided cover, the English Channel was unusually calm in the days that followed which allowed nearly 340,000 British and Allied soldiers to be rescued by a hastily assembled of over 800 boats made up of 40 Royal Navy ships and an armada of civilian boats and merchant ships. More focus on the vast numbers (hundreds of boats and ships) of civilians and commercial boatmen who risked all to aid in the rescue of their army. (Some were commandeered by naval crews when owners were not found. The movie made it appear that only a few dozen made the crossing. Churchill’s June 4, 1940 speech seemed almost an afterthought in the movie. The fact that the British people acknowledged God’s role in the evacuation. 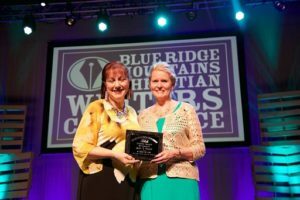 I met Clarice a few years ago at the American Christian Fiction Conference (ACFW) and have enjoyed our friendship ever since. She’s entertaining whether in conversation or in print. I’m so excited about her latest book. Make sure when you read it that you are in a location that laughing out loud won’t disturb others. Please tell us something about yourself, Clarice. I grew up on Cape Cod—before it got crowded. The second oldest of six children, my days were spent playing make-believe with my siblings and friends in the backwoods of our rural neighborhood. We had the kind of family who was poor but didn’t know it. During those formative years, I learned about the Father, the Son and the Holy Ghost in church, but I hungered to know God better. That happened when I accepted Jesus as my personal Lord and Savior in 1980. David and I live in Southern New Hampshire, where we are connected to a wonderful church family. Together, we have five married children and ten grandchildren. I know Party of One is based somewhat on your experience as a widow. Please share the journey of how you came to write this story. About six months after I was widowed, I returned to the diner my late husband and I had frequented for decades. While seated at the table we had called ours, a server approached and asked if someone would be joining me. When I told her no, she asked me to move to the counter because their tables were reserved for two or more. I drove up the street to another restaurant. The staff there treated me like they’d been awaiting my arrival all week. That restaurant was the inspiration for Cranberry Fare, the one featured in my book. In the midst of one person’s insensitivity and another’s warm welcome, a seed for Party of One was planted. Originally, it beg an as a non-fiction book about the struggles and surprises of the middle-aged single life. When I remarried in 2006, my husband, David, suggested I turn my manuscript into a novel. Although based loosely on my life, fiction has its advantages; with a few keystrokes, I could make the protagonist younger, thinner, and richer! God often teaches us something through our writing, particularly if it is based on our own personal experiences. 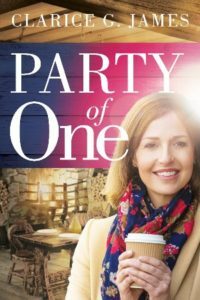 What did you learn about life, faith, or yourself in the process of writing Party of One? Since my marriage had been a happy one, I was not opposed to remarrying one day. When I finally decided I was ready, I discovered God’s timing was not necessarily the same as mine. Patience took root once I tired of fighting it. During those eight years of widowhood, I became aware of other lonely people, which resulted in my sharing my home at different times with four single women. I also prepared Tuesday night supper for the young adults in my church. My plan was to start Party of One, “a fellowship for those tired of dining alone.” Ironically, that didn’t happen until after I’d written the book and happily remarried. As I learned for myself, it’s not about me or my timing. It’s about God and his perfect plan for my life. Look around and see how you can help. You are his eyes and ears, his hands and his feet. 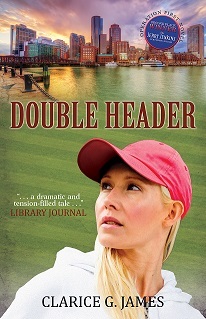 Your novel Double Header, a stand-alone story, is the sequel and is also available so your readers won’t have to wait to continue learning about some of your characters. Where can readers find your books? Ask at your local bookstore or order both Party of One and Double Header on Amazon.com and/or Barnes & Noble. I believe you have a third story written. Has it found a publishing home yet and if so when will it be available? My third novel is titled, Manhattan Grace. Per my readers’ request, I continued the story of Gracie Camden, the aspiring actress/hostess you meet in Party of One. However, as are all my books, it’s a stand-alone story. Elk Lake Publishing has first dibs. I’ll be sure to let you know! What are your social media sights? A signed copy of Party of One will be awarded to one commenter. 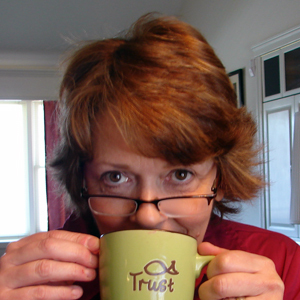 AUTHOR BIO: Clarice G. James writes smart, fun, relatable contemporary women’s fiction. When she’s not writing, she’s reading, encouraging fellow writers, or involved in home decorating projects. She and her husband, David, live in New Hampshire. Together, they have five married children and ten grandchildren. DOUBLE HEADER: A rising Boston sports columnist fears losing the unblemished memories of her father when she learns she has a brother no one knew existed. In her search to identify this walking insult to his memory, she learns that God’s playbook is less about her well-ordered plans and more about His. I have attended three American Christian Fiction Writer’s (ACFW) conferences in the past six years but this was the first year I attended the Blue Ridge Mountains Christian Writers Conference (BRMCWC) in Ridgecrest, NC. BRMCWC is an annual conference billed as a premier training and networking event for both seasoned and aspiring writers and speakers. Classes covering a multitude of subjects for every imaginable genre of writing are held throughout each day of the conference. Interesting Keynote speakers address the hundreds attending each day and evening. It’s a rich opportunity to learn and meet with other writers, speakers, agents, and publishers. Each year various awards are given in recognition for a variety of published and unpublished work. 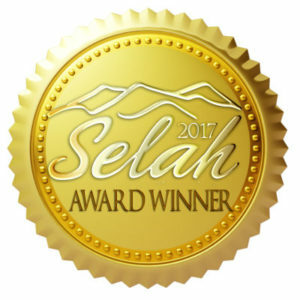 About a month ago I mentioned that A Heart Set Free was selected as a finalist in the Selah Awards for Historical Romance. 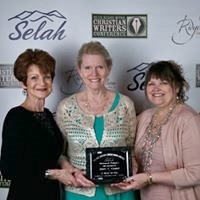 This year the other finalists in this genre were multi-published, multi-award winning writers so I was honored just to have my debut novel considered. 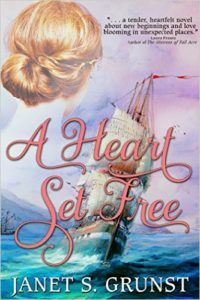 Imagine my surprise and delight when A Heart Set Free was awarded the Selah for Historical Romance. What a special week it was to study and connect with so many people, some friends whom I’ve only known online before the conference. I’m still digesting all I’ve learned. And like most other attendees, I’m energized and motivated to continue to pursue the craft of writing. Stop by 2Me From Him with Norma Gail for my interview about writing A Heart Set Free. Make a comment and there’s a chance to win a free book. It has been fun getting to know Norma Gail. She is also a Lighthouse Publishing of the Carolinas author who has a heart for all things Scottish. In her book, Land of My Dreams, Norma takes us on a journey through the high desert of New Mexico and the lush hills of Scotland. Bonnie has traveled from New Mexico to Scotland to teach at a Christian school and to heal from the death of her parents and a fiancé who deserted her. There she meets fellow teacher and sheep farmer Kieran who is still suffering from the death of his wife and baby. As a result of their human losses, they have also both lost faith in God. This is a tale of their growing relationship, with its pitfalls and misunderstandings, and addresses the theme of being equally yoked. They each must address their journey with God, which has its own challenges. Land of My Dreams will keep your attention to the very end. 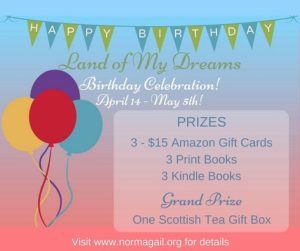 I’m pleased to welcome Norma Gail as she celebrates the third anniversary of the release of her debut novel, Land of my Dreams. I truly enjoyed this story, but then I love all things Scottish, including the skirl of the bagpipes. Norma truly makes the reader feel like they are wandering the highlands with all its craggy charm. Please tell us something about yourself, Norma. Thank you for inviting me, Janet! I really appreciate it! I live in the mountains of central New Mexico with my husband of 40 years. We have two adult children and a sweet daughter-in-love. I have wanted to be a published author since I was a child but never had the nerve or time to pursue writing seriously until my children were grown. 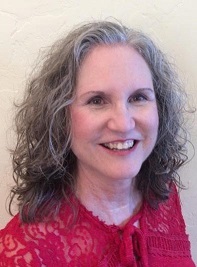 Following a career as an RN, as well as being a homeschooling soccer mom, I decided it was “now or never.” I was 59 years old when my debut novel released. What sparked your interest in writing? I loved to read as a child, devouring everything including the back of the cereal box at breakfast. I have been known to cook or load the dishwasher with a book in one hand. My husband and kids are not big readers and think I’m insane. The book that most influenced my desire to write was Little Women by Louisa May Alcott. I wanted to be like Jo March. I began writing poetry and making up stories as a child. My best friend and I were the teacher’s pets of our creative writing teacher in high school, but I chose nursing as a profession. I am a dedicated “seat of the pants,” writer though a historical trilogy is going to force me into outlining and plotting. I love following an idea and seeing where the characters take me! It can be quite surprising. Anyone who has not written fiction may have a difficult time understanding that, but characters do take on lives of their own. Research is an absolute delight. Organizing a story can get a little dicey at times, but is a great challenge. Plotting becomes a necessity at some point. I think most writers would agree that marketing is a huge downer. It’s fun talking to people in person about your book, but hours on Facebook, Twitter, and other social media is not fun. I love guest blogging and hosting other authors on my blog. I promote their books because I wish someone would have given me a hand when I was a newbie, but I will never say I like it. What was your inspiration behind creating Land of my Dreams? Land of My Dreams began as a dream, believe it or not! My husband and I visited Scotland for our thirtieth wedding anniversary and during the planning; I began to dream of a man in a kilt standing on a misty mountainside with his bagpipes surrounded by sheep. I have to say, we saw nothing like that in Scotland, though there were plenty of sheep. However, the dream began to rattle around in my head during the daytime. It’s not unusual for me to dream up stories about interesting places we see when we travel, but when I broke my foot and ended up in a wheelchair, I decided it was time to see if I had what it took to be a published author. 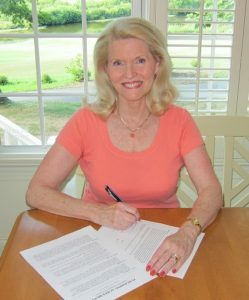 I received my book contract following my second writer’s conference. God often teaches us something through our writing. What did you learn about life, faith, or yourself in the process of writing this story? I learned that I don’t have a lot of self-control when it comes to writing. I get so carried away with what is going on in my head that I can ignore meals, oven timers, and the disappearance of daylight. I have been found writing in my pajamas at 3 in the afternoon. God has really convicted me about making my time with Him happen and taking care of the necessities of home and family before I allow myself to begin writing in the mornings. I am pretty good about it most days now. I led women’s Bible studies for 21 years, so Bible study is a passion of mine. 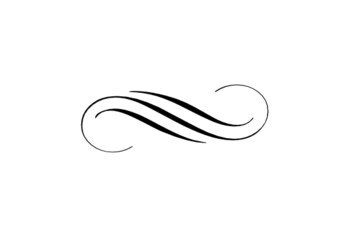 I cannot write without including spiritual lessons in the story. I believe God wants me to spread His message in a way that reaches people who might not pick up a Bible. I also love writing devotionals and often write my weekly devotional for my blog as a part of my quiet time. My favorite quote from my book is “Sometimes the greatest blessings come when we leave the familiar behind and take a step of faith.” We have to step out of our comfort zone and trust God to lead us to what He has for us, even if it scares the daylights out of us. He is always going to be there to guide us to His best for our lives. Walking into a writer’s conference and pitching a book for the first time when you’re 58 years old is somewhat intimidating, especially when some people there have studied writing for years. In my book, Bonny Bryant, an American college professor, leaves behind everything she has ever known to escape heartbreak and teach at a college in Scotland. In fleeing a broken heart, she finds a love greater than anything she ever dreamed of and challenges that make it seem that she will never be with Kieran MacDonell, the love of her life. Learning to trust God to lead both of them to where He wants them to be is the theme of the story. Do you have a sequel written or planned? My sequel is written and has been submitted to the publisher. I await an email telling me if they have accepted it or not. It is a romantic suspense and was much more difficult to write than the first book because the characters would not behave. I have completed a romantic novella, and am researching a historical trilogy based on old family stories dating from the Revolutionary War into the early 1920’s. Thank you so much, for being my guest, Norma. Thank you for inviting me, Janet! I loved A Heart Set Free! Your readers are invited to visit http://www.normagail.org/land-of-my-dreams-celebration/ to enter the giveaways I am offering for my book’s third Birthday Celebration! Where can readers find Land of my Dreams? 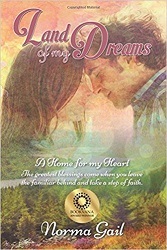 Land of My Dreams is available through Amazon and the publisher, Lighthouse Publishing of the Carolinas.